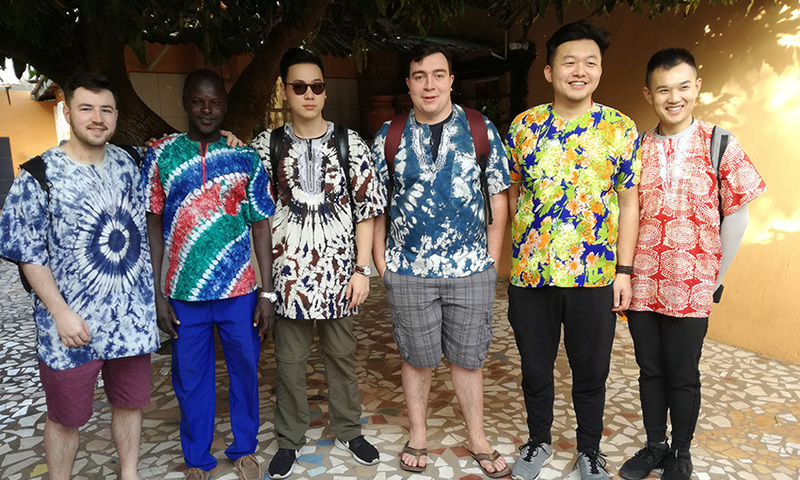 As someone studying International Tourism at Cardiff Met, a field trip to The Gambia was an excellent opportunity for me to see how the tourism industry operates in the real world, and in particular in an area of the globe promoting cultural tourism. The Gambia is a country in West Africa and is completely surrounded by Senegal except for its coastline on the Atlantic Ocean, not an area traditionally seen as a tourism hotspot. Ida preparing dinner for us all! 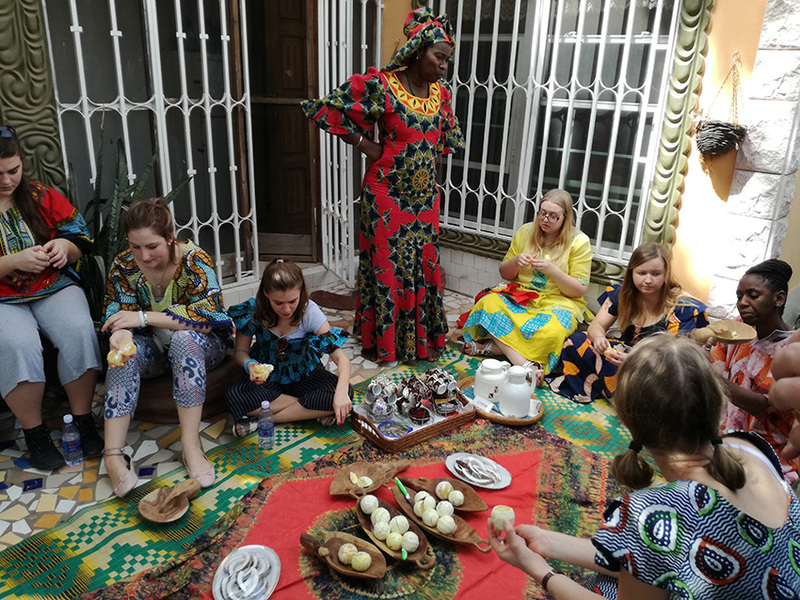 Our first full day in the Gambia involved a visit to the house of Ida Cham Njai. 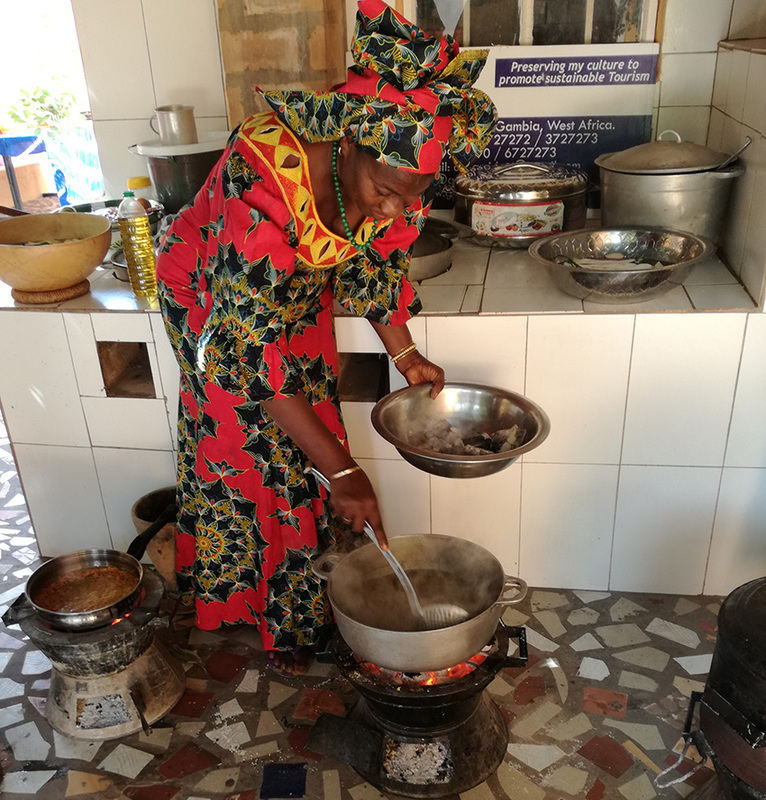 She promptly had us all dress in traditional Gambian clothes and escorted us through the chaos of the local market before cooking a Gambian chicken and fish dish! The food and the hospitality that we experienced were second to none. 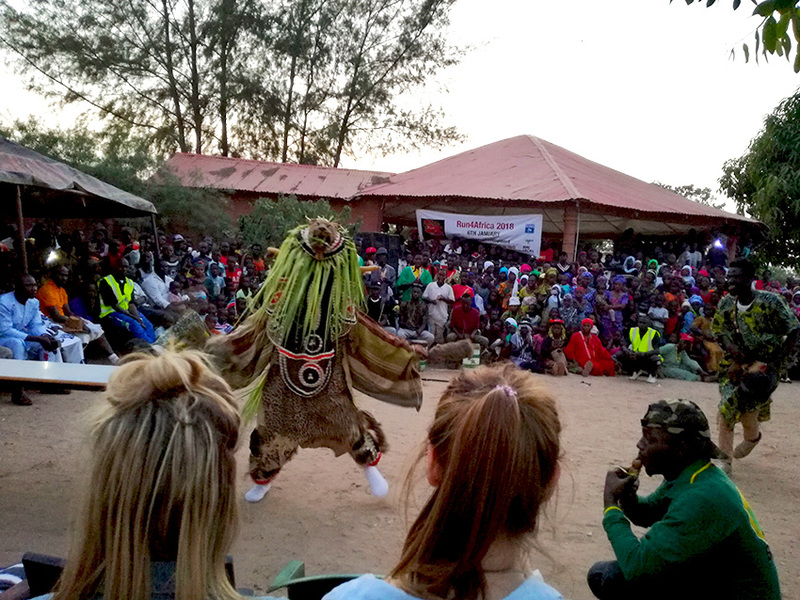 In the evening we visited the village of Manduar for the opening of the local cultural festival – a truly insightful look into Gambian culture. Taking in some Gambian culture. 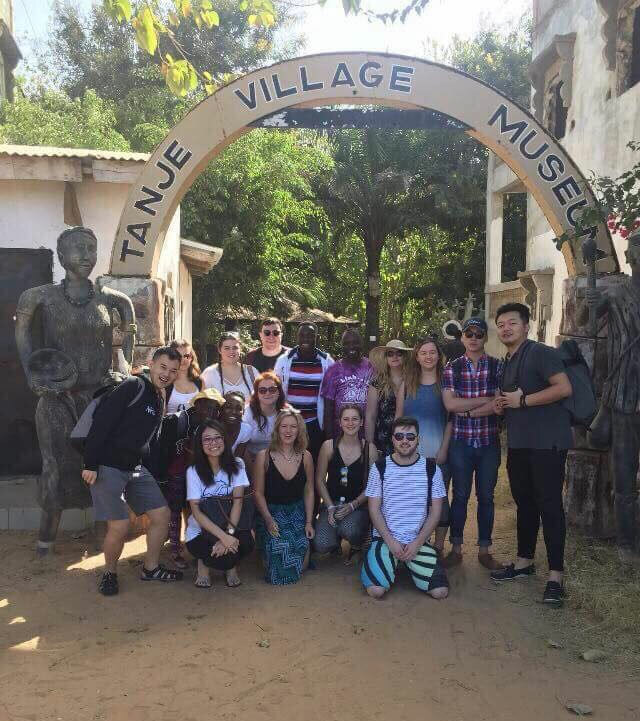 The following day began with a visit to Tanje Village Museum – essentially a Gambian equivalent of the St Fagans National History Museum back in Cardiff – where we learned more about Gambia’s nature and tribal history. The afternoon consisted of lounging on the beach and eating fish and chips before beholding the spectacle that is Gambian wrestling. The next day started with an early morning boat journey up the river to the village of Jufurreh. Seen as the gateway to Africa for the British, American and the French during the slave trade period this was a particularly sobering experience that highlighted the dark history that the country has been subjected to. 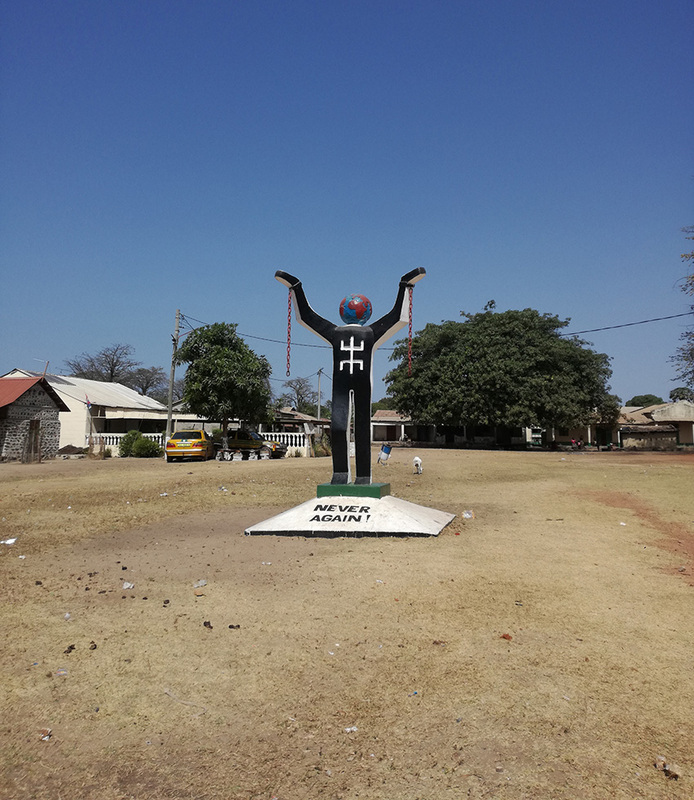 The slave trade had a major effect on The Gambia. Next we visited the village of Tumani Tenda where we were welcomed with open arms, a song and a dance! Throughout the trip I had felt the Gambian people had been very welcoming and friendly and here was no exception. After a tour of the village we relaxed in the hammocks with some drinks as the village cooked us food. This was followed by some tie-dying before heading off to Sandele eco resort to grab some sleep. We were made really welcome everywhere we went. The next morning started with an 8am yoga session. I’m not a morning person and I’d never done yoga but I felt like a new man after that! After a brief talk from one of the owners of the resort we headed back to our hotel for a workshop with students from the Institute of Tourism in the Gambia. It was great to meet fellow tourism students and hear their ideas for the future of Gambian tourism. The whole group at Tanje Village Museum. In the evenings after our planned activities we were given free time and this was a great opportunity to get to know all the guys on the trip – I didn’t even know some of their names before we went, but this trip changed that. With plenty of bars and restaurants surrounding our hotel we managed to squeeze a cheeky drink in most nights. Visiting the monkey sanctuary was great fun! The highlight of the trip for me came on the final morning when I visited the monkey sanctuary close to the hotel. 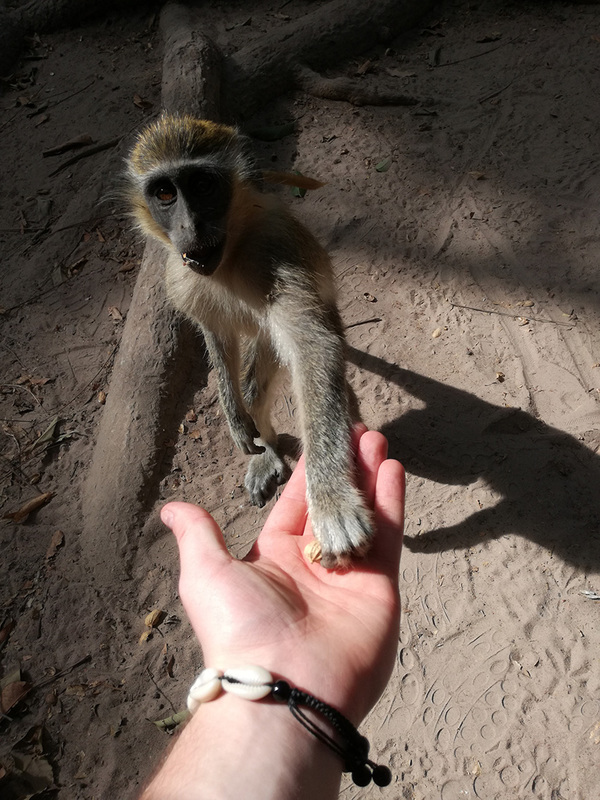 I was absolutely fascinated and amazed at the confidence of these monkeys who would take peanuts right from your hand – what an amazing way to end my Gambian experience! Want to know more about travel opportunities at Cardiff Met? Check out our other study abroad blog posts.